Yardley Poise Noire defines the exquisite elegance within the mysterious woman. 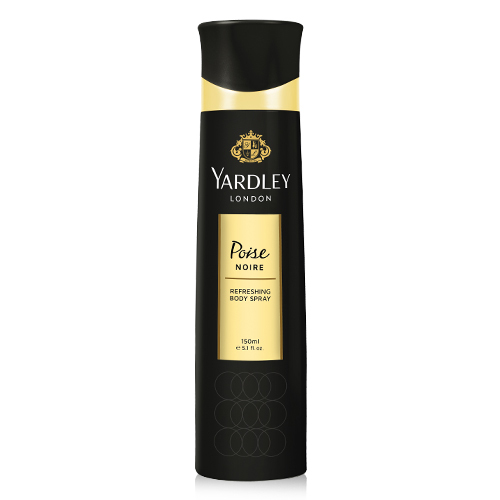 Poise Noire is a luminous fragrance that will extend your charm and grace. The fragrance is a blend of light mandarin with dewy waterlily and light jasmine petals and enriched with dewy rose which gives it a refreshing feel. The fruity musky trail reveals the feminine, sophisticated overall impression of this fragrance. The fragrance represents a deep and daring glam designed for women who like luxurious lifestyles.